The Samba Studio comfortably accommodates 2 - 3 people. It has an open plan living area with a well equipped kitchenette, small dining table, comfortable sofa and TV. 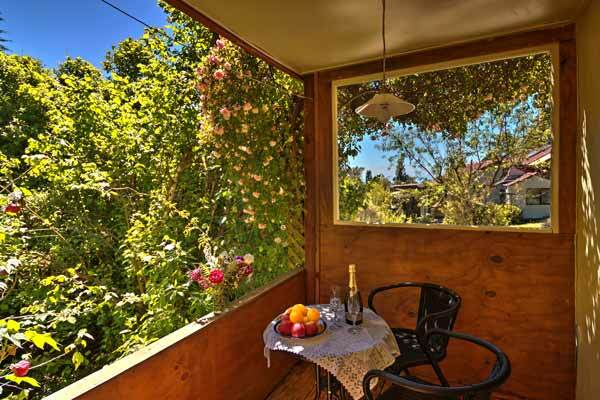 There is a great, private outside deck area bordering on to a lovely bush garden and glimpses of Tasman Bay can be seen from here. The Samba has one bedroom with a very comfortable queen size bed and quality bedding. The sofa in the living area can be transformed into a bed for an extra person. 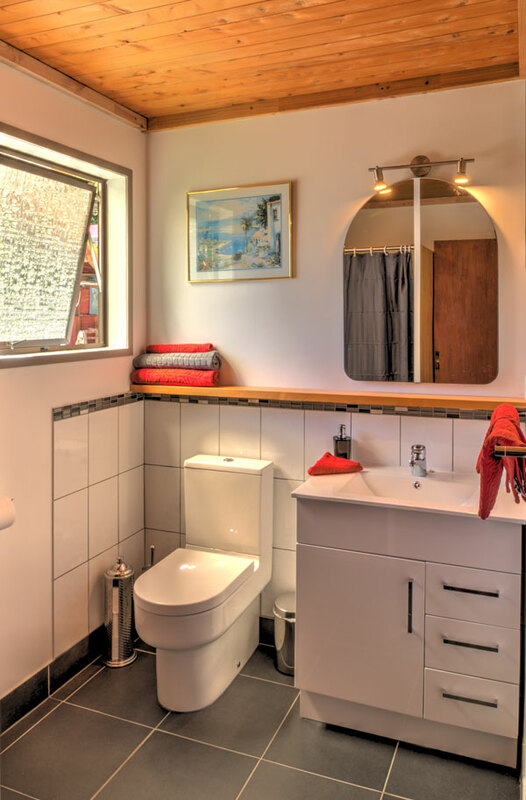 The very spacious bathroom has a shower, toilet and hand basin. Your studio accommodation is serviced daily. So enjoy your day (or more) in New Zealand's beautiful Abel Tasman National Park and then come back and relax with a glass of Nelson wine on the veranda. 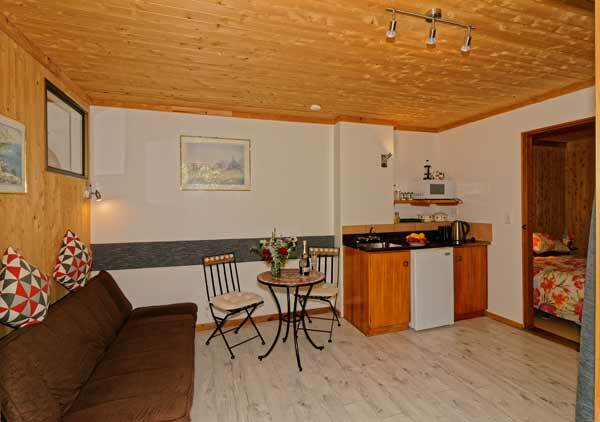 The Samba has accommodated up to 4 persons in the past. For larger groups please contact us and we will advise you what would work best for you. Lovely secluded place in the bush, close to Abel Tasman National Park gateway at Marahau.
" There are three apartments. Ideal if you wish to walk in Abel Tasman Park. There are nearby restaurants, and the Fat Tui fantastic fish and chips. There are glowworms at night and tuis in the bush.Christa is a delightful hostess." Valerie S.